The clinical use of full-length mAbs as imaging agents can be challenging, due to their long biological half-life and relatively slow tumor penetration, which may affect tumor-to-background contrast at early time points. 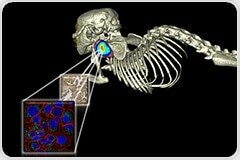 In this webinar, Dr Gabriela Kramer-Marek will focus on HER-specific imaging radioconjugates that could provide unique information as cancer biomarkers, including quantification of receptor heterogeneity and early detection of changes in target expression in response to therapy. 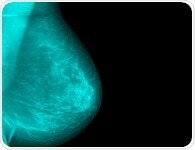 Microwave imaging represents a safe alternative to x-ray mammography for breast cancer screening. The cardiovascular system can be monitored and its functionality assessed with cardiovascular magnetic resonance (CMR) imaging. New techniques for CMR imaging have been developed in recent years. These include T1 and T2 image mapping, which are non-invasive imaging techniques that have been quickly integrated into normal CMR imaging procedures.